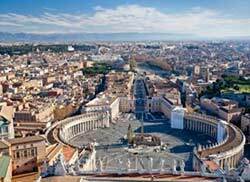 Compare prices for car rental in Italy from leading car hire suppliers. 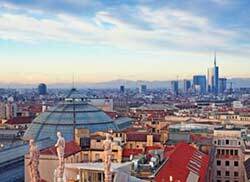 Our real time search engine instantly compares all car hire companies in Italy. This ensures lower prices, but also greater flexibility and more rental cars to choose from. A few of the suppliers we compare include Maggiore, Locauto, Europcar, Avis, Budget, Alamo, Hertz and Sixt. Renting a car in Italy gives you options that you can never get with public transport. 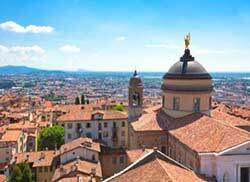 Some destinations like Tuscany can be much better explored by hire car. Exploring by car will also give you more freedom where to go and what to do. All prices quoted include unlimited kilometers, breakdown assistance, airport fee, local taxes as well as insurance. Renting a car in Italy is a fantastic way to explore historic sites, cities and beaches throughout this beautiful country. Instead of doing stressful time-limited tours, why not see the attractions and sites from the comfort of your rental car, and more importantly at your own pace? Try us for a quote and be surprised how affordable car rental in Italy can be. 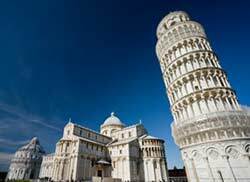 Carhireitaly.net is a one-stop car rental specialist for Italy. We compare the rates of only the top brands ensuring you not only affordable prices, but a great car and a satisfactory car hire experience. If you have any inquiries about booking a car or encounter any problems with your current booking, please contact us and we will gladly assist you immediately. Hiring a car in Italy has never been simpler with our 3-step booking engine. Simply type in your destination and dates and wait for the results to come in. In Step 2 of the booking process, simply pick your car of choice and fill in the credit card details in Step 3. The Carhireitaly.net reservation system is secure and your personal and credit card information is always encrypted through a secure sever with 256-bit encryption. Car rental in Italy starts from only €9 when you book through us. As we compare several different suppliers you we can guarantee competitive car hire prices. We encourage you to also compare other travel websites in order to see how much you can save by booking through us. To find the cheapest prices, we urge you to book as soon as possible as you usually end up paying more the longer you wait.